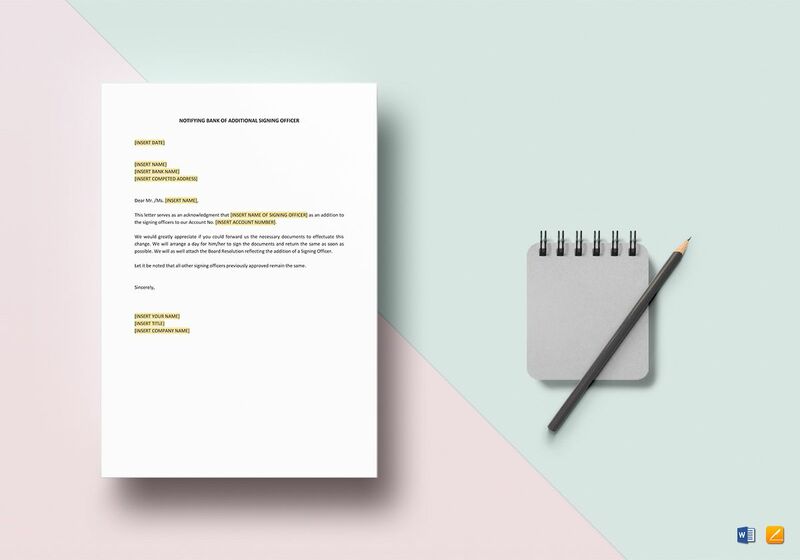 Provide official notice to your company’s bank of another official company representative using this Notifying Bank of Additional Signing Officer Template. Instantly download and use this document anytime and anywhere. 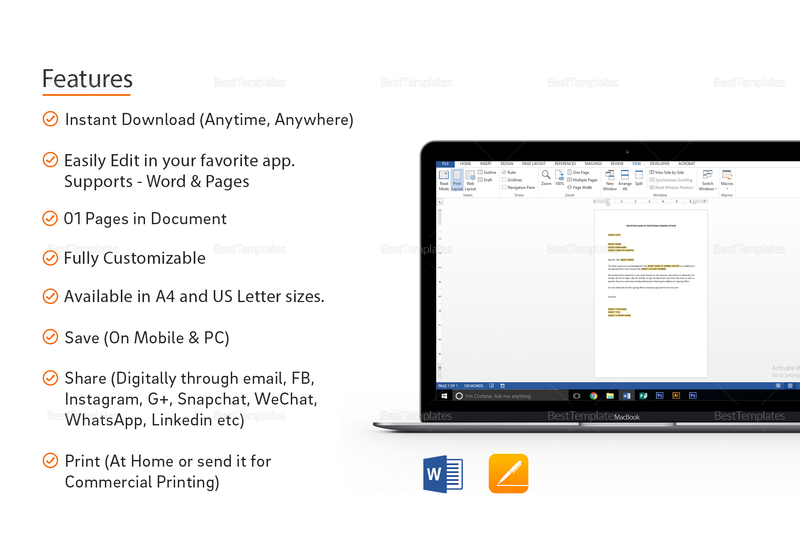 Just make changes using your choice of application compatible with MS Word or Pages file formats by replacing the highlighted parts with your information. Print and send to the bank conventionally or through email.